The Mustang GT gets a 5.0-litre Ti-VCT V8 engine rated at 420 horsepower and a massive 529 Nm of max torque. 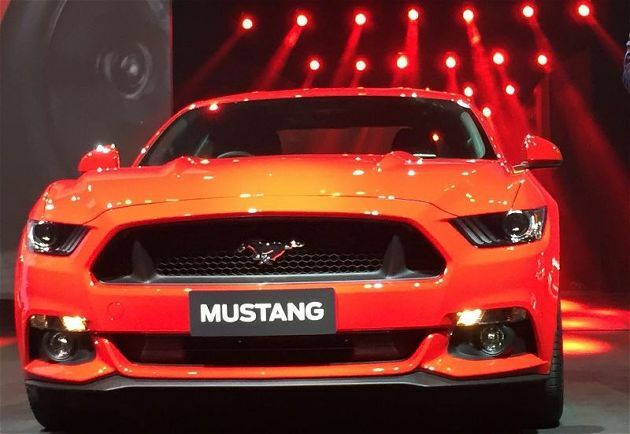 Ford has finally unveiled its iconic Mustang all-American muscle car, in India. 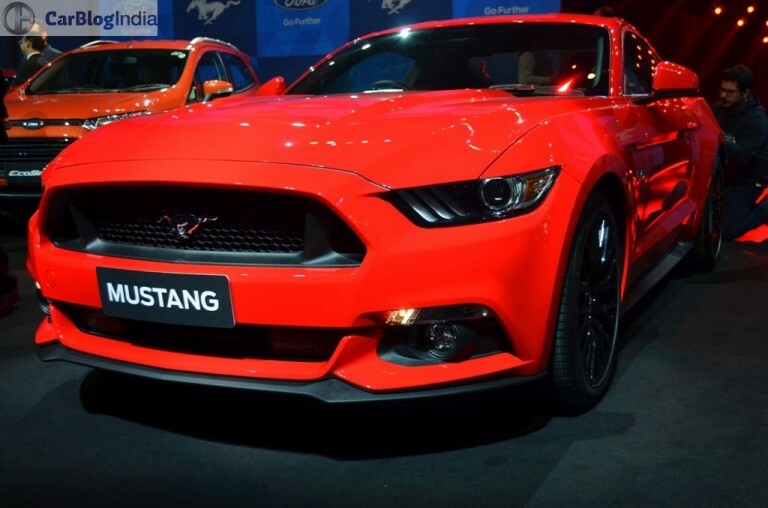 Mustang will be on sales in the 2nd quarter of 2016 after being showcased to the public at the upcoming Auto Expo 2016. The India-spec Ford Mustang GT will arrive via CBU from the US and will only be available with the monstrous top-spec 5.0-litre V8 engine. 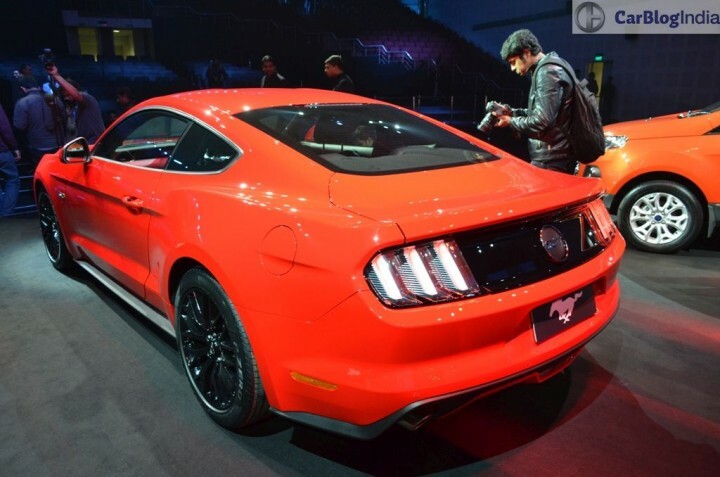 Ford Mustang is expected to come bearing a price tag of around Rs.60 lakh. The Mustang GT gets a 5.0-litre Ti-VCT V8 engine rated at 420 horsepower and a massive 529 Nm of max torque. It comes mated to a 6-Speed SelectShift automatic gearbox with steering-mounted paddle shifters. 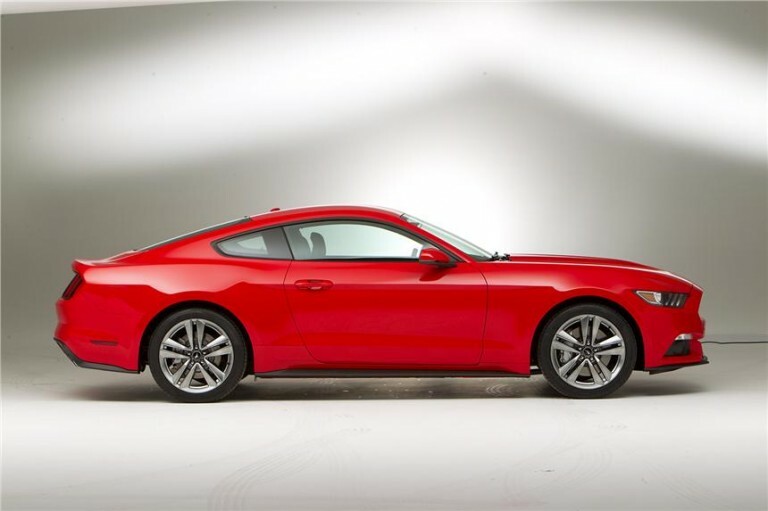 On the outside, the Mustang gets plenty of retro touches to the styling of the nose and rear, in addition to a bulging bonnet and brawny wheel arches. 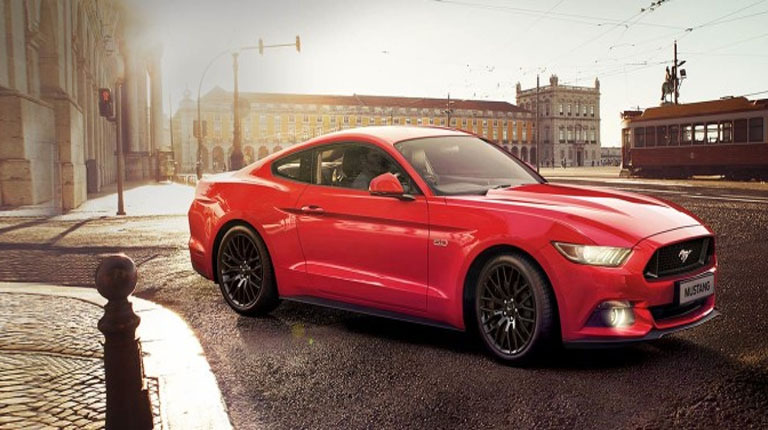 Design features such as the wide shoulders, raked roofline and lengthy bonnet lend the Mustang a commanding muscular look. Inside, drivers will find information and controls all readily accessible in the aviation-inspired cockpit. 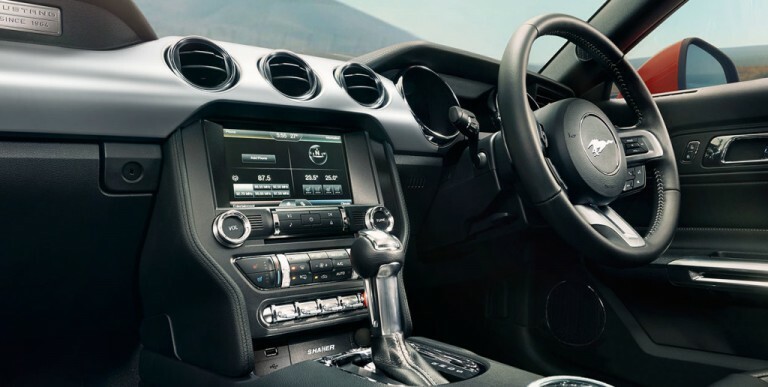 A large, high-definition display screen puts vehicle information right in front of the driver in the roomier cabin while improved ergonomics and tactile switches and knobs provide better control. Other features include LED equipped HID head-lamps, LED tail-lamps, dual-zone HVAC system, launch control, electronic line-lock, Blind Spot Information System (BLIS) with Cross-Traffic Alert, adaptive cruise control, drive mode selector, rain-sensing wipers, dual front airbags with additional curtain and knee-bags, and independent rear suspension etc. Since the Mustang first went on sale in 1964, Ford has sold more than 9 million vehicles. It has made thousands of appearances in film, television, music and video games and is the world’s most-liked vehicle on Facebook.